Guild faculty and students had an opportunity to hear from top decision makers on policy and budget, share ideas and strategies with colleagues and lobby their legislators at the Faculty Association of California Community Colleges (FACCC) Advocacy & Policy Conference March 3-4 in Sacramento. 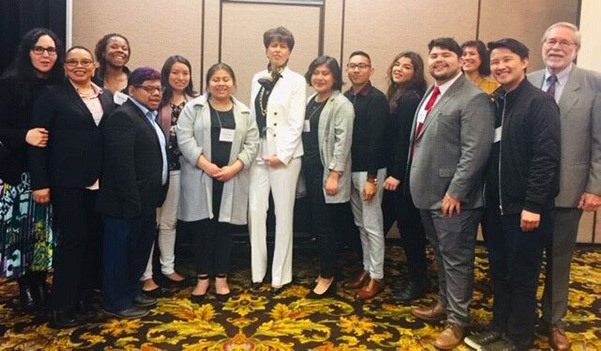 Pictured are California State Senator Connie Leyva (center) with AFT 1521 student interns, faculty, and student intern coordinators. The LACCD Job Fair on March 2 at Trade Tech College drew approximately 700 participants, including adjunct faculty and members of the community interested in applying for full-time job openings at District colleges. The District is in the process of hiring about 90 full-time faculty this spring. The Faculty Guild presented two workshops – “Get the Job” covered the process of applying, writing a succinct cover letter, interviewing, and the teaching demonstration. “The Department Chair Panel” gave participants insight on what chairs look for when hiring faculty. For materials from the “Get the Job” session, go to our website, www.aft1521.org , then click on the Adjunct Faculty tab and scroll down to Employment Resources. panel discussion on what chairs look for when hiring full-time members for their departments. Scholarships Available! Tell Your Students! 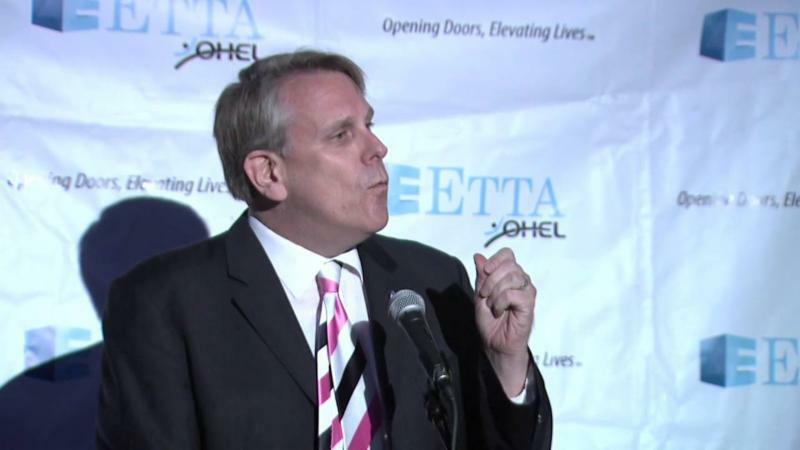 AFT 1521 is offering several $1,000 scholarships to students who meet the criteria. The deadline for applying is Friday, April 19 for the two AFT 1521 Foundation Scholarships and Monday, April 29 for the nine AFT 1521 campus scholarships. The awards are funded by the Guild’s allocation to Good & Welfare and by contributions to the AFT Foundation and endowed scholarships established by the families of former Guild activists. ﻿For information and applications, go to www.aft1521.org and click on the Scholarships tab. Approve MOU granting a paid day in-lieu-of-assignment to honor the Day-of-Mourning for former President George H. W. Bush. Sponsor Miguel Santiago’s bill, AB 2, making the second year of community college fee-free. 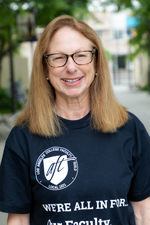 Contribute $1,000 to Trustee Andra Hoffman for her 2020 campaign for the LACCD Board of Trustees.